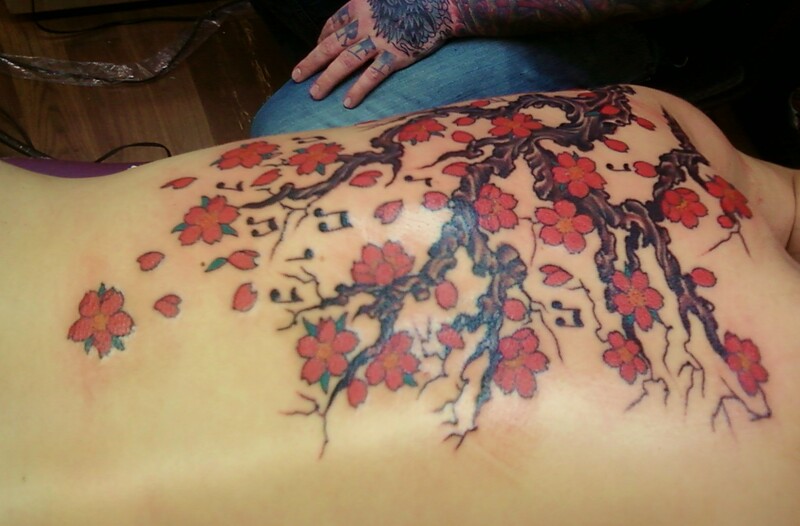 The cherry blossoms tattoo is full of meanings, value and significance in the Orient. 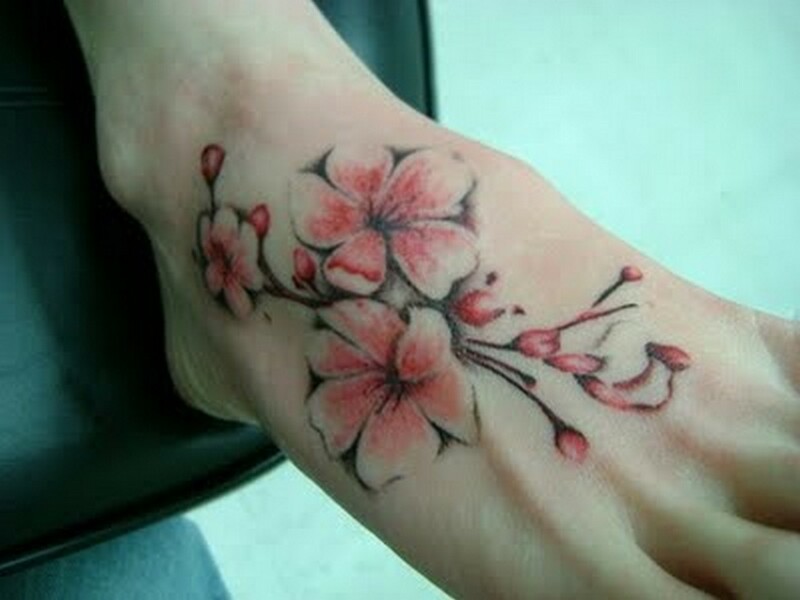 Tattoos featuring the Cherry Blossom are a sight that you will see a lot among the Japanese and Chinese. Now the yen for these are also picking up in other areas and cultures. 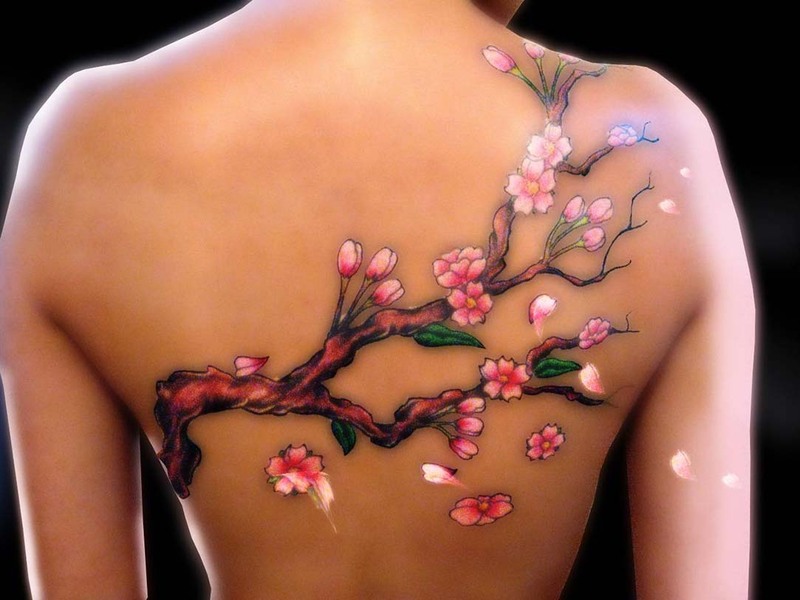 It definitely helps that tattoo designs featuring the cherry blossom are immensely pretty to look at and are really striking. Though the Chinese and Japanese revere the Cherry blossom, what it means to each of these cultures may be different.For the Japanese it something of a delight that only lasts for a while and like life itself should be enjoyed while it lasts. It also denotes wealth and also serves as the Samurai Emblem. In China the Cherry Blossom is a powerful symbol. It also represents femininity, positivity and beauty and the sheer power that female sexuality can hold over the world. Since the cherry blossom denotes everything female, it becomes very attractive as a tattoo to women in the western culture. There are numerous types of designs that you can pick from including the tree, only the blossoms or many other combinations. It can also be portrayed with other elements of nature like butterflies, dragons and dragonflies. 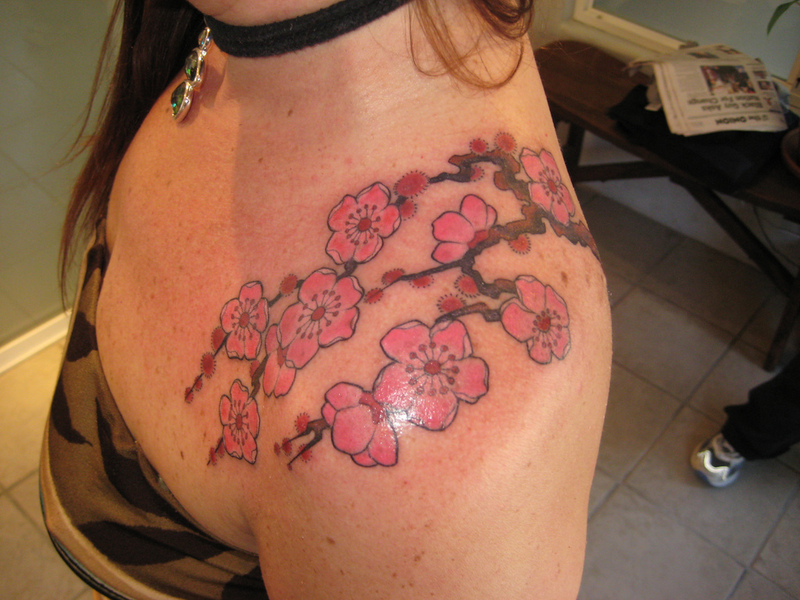 You can do your research to find the one you want.A cherry blossom tattoo literally reeks of the meanings and significance from the Orient, which is one of the many reasons that people get this inked. It has an air of festivity and color that most people crave to have as part of their life. That apart the symbolism of cherry blossom tattoos go beyond the mere look of it; it also means a host of noble emotions which most of us want. It is like the dragon tattoo designs for men and women so that when you wear of a tattoo of this ilk you know you have symbolism and looks too. If you are attached to things oriental you can have a nice saying in Chinese or Japanese script that has personal value tattooed along with the cherry blossom. This tattoo can be done on many locations on your body, of course depending on the size of the tattoo. The deeper meanings of cherry blossoms have to do with femininity largely. That apart they also represent optimism, naivety, wealth and youth. 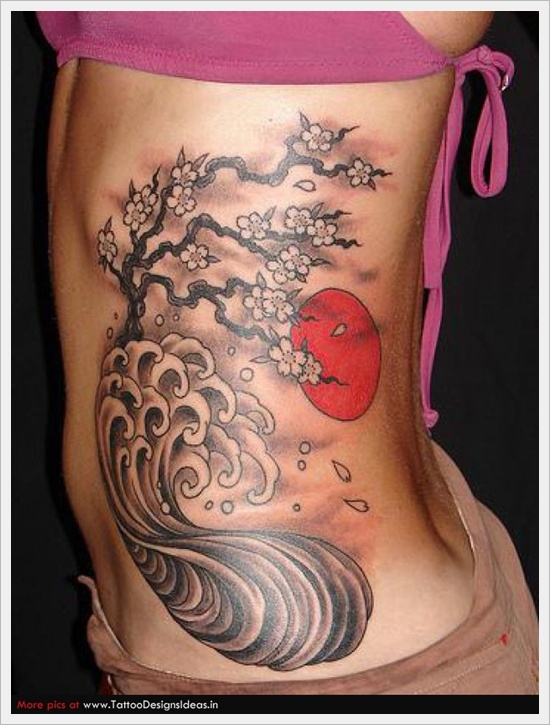 All these inner meanings and symbolism along with sheer aesthetic appeal make cherry blossoms a great choice for a tattoo design especially among women. 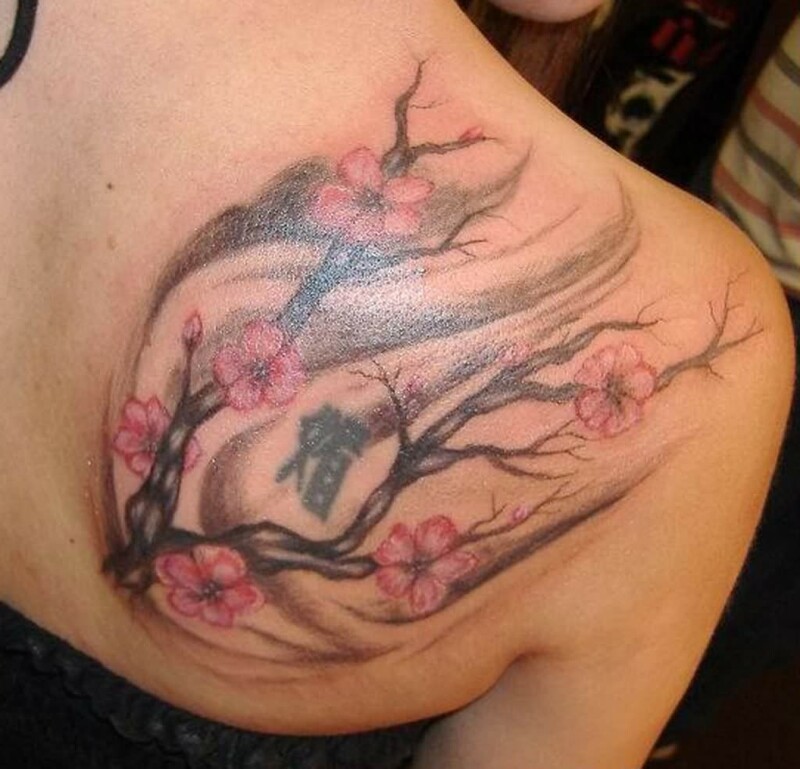 If you are looking for cherry blossom tattoo designs that can be used for men and women, then what better way to get started than by getting some visual inspiration? What we mean by visual inspiration here is simply a matter of looking at pictures of cherry blossoms and getting inspired by them. You may think what will looking at pictures of cherry blossoms do to get me started on thinking about tattoo designs but you will do well to remember that these are so remarkable that there is actually a festival around them. While it may not be possible for all of us to part of the cherry blossom festival, but we can definitely seek inspiration from the pictures of cherry blossoms. These will definitely give you some ideas on what the tattoo should look like and once you have an outline, it is easy enough to flesh it out with the details of the tattoo and get a complete picture.